The medical officers of health for the Port of London had a unique job travelling up and down the Thames from London to the Thames Estuary, inspecting the cargo and crew of ships from around the world. The extent of the Port of London Authority along the River Thames from London in the west to the Thames Estuary in the east. The rapid spread of cholera from Asia in the 19th century had alerted the authorities to the threat of diseases travelling along trade routes. The London Port Authority’s (LPA) role was to look out for infectious diseases and parasites on ships and to inspect the quality of imported goods. They also kept a close eye on the health of rats on ships and in the Port as an early sign of plague arriving in London. The LPA had two boarding stations in the Thames Estuary at Sheerness and Gravesend, and a mooring at Greenwich. It also had at its disposal 2 launches and 2 barges – one for fumigation. The medical officer of health (MOH) reports a relatively quiet year for the Port of London in 1922, with “no large amount of infectious disease during the year amongst shipping entering the Port”. The exception was malaria. He and his team medically inspected 925 ships with 530 cases of disease, of these 170 cases were malaria. World distribution of malaria, 2006. Image credit: Percherie, Wikimedia Commons. The MOH, Willoughby Marcus Willoughby, describes the case of a ship, the SS Hunstanworth, from Rufisque in West Africa, which arrived at the mouth of the River Medway near the Thames Estuary in November 1922. Malaria broke out after the ship left Las Palmas in the Canary Islands and the entire crew of 24 men was struck down, with only 4 men fit to work the ship by the time it arrived in port. Acute cases of malaria were disembarked and sent to one of three main hospitals along the Thames: the Dreadnought Seamen’s Hospital at Greenwich, the Royal Albert Dock Hospital, and the Denton Hospital near Gravesend. In all 23 malaria cases were admitted to hospital that year, 13 of these from the SS Hunstanworth. These three hospitals along the Thames had a close association with the ships arriving at the Port. The Seamen’s Hospital Society was set up 1821 to help employees of the Merchant Navy. The Society’s hospital was housed in the ex-warship HMS Dreadnought in 1830, and the name Dreadnought was retained when it moved onshore to Greenwich in 1870. The Royal Albert Dock Hospital was a branch of the Seamen’s Hospital and opened in 1890. The Seamen’s Hospital, Royal Albert Dock. Image credit: National Maritime Museum. With the exposure to diseases from around the world, it is no great surprise that the London School of Tropical Medicine began life at the Royal Albert Dock Hospital in 1899. The founder of the school, Sir Patrick Manson was a physician at the hospital. 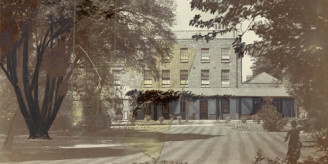 The School moved with the Hospital for Tropical Diseases to Endsleigh Gardens in central London in 1920. The Port Authority continued to send cases to both branches of the Seamen’s Hospital and in the MOH Report one patient was also sent to Endsleigh Gardens. 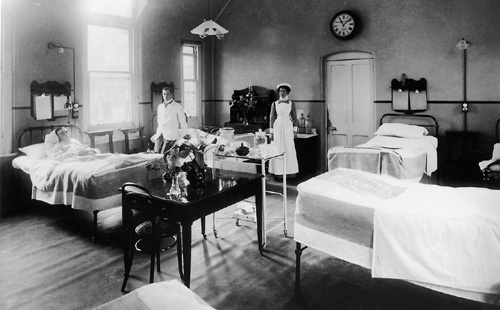 Denton Hospital was the PLA’s own hospital for sick and quarantined seamen. It had its own jetty on the river so patients could be transported there directly by launch. What was the reason for the rise in malaria cases arriving at the Port of London? The Port of London Sanitary committee speculated that the increase might be attributed to the opening up the West African coast. But it was the malaria outbreaks amongst troops in Salonika (now called Thessalonika) in Greece that made the biggest impact. Over the course of the war 34 000 cases of malaria had to be sent home from Salonika. Five treatment camps were set up to receive them, one of these was in the Thames Estuary on the Isle of Sheppey. “In accordance with the precedent, which was agreed by your Worshipful Committee during the War, I have consented to the reception at Denton of cases of malaria, which… are in urgent need of being brought under the influence of quinine”. For a wonderful set of photographs of the Port of London (including the Seamen’s Hospitals) around the end of the 19th century take a look at the National Maritime Museum’s Portcities London album. Harrison M. War against nature: malaria in Salonika, East Africa and the Middle East. In M Harrison (Ed.). The Medical War: British Military Medicine in the First World War. Oxford: Oxford University Press; 2010. pp. 228-261. 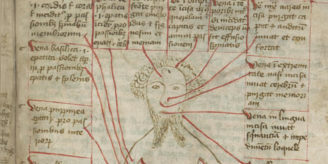 The medical officer of health reports for London, from 1848-1972, are freely available online (with full-text searching) via the London’s Pulse website and in the Wellcome Library catalogue. Author: Lalita Kaplish is Assistant Web Editor at the Wellcome Library.